Edited by inuko23, 02 February 2016 - 08:45 AM. Edited by Talvis, 27 February 2014 - 06:55 PM. Edited by inuko23, 02 February 2016 - 08:46 AM. Edited by ZeroTigress, 08 January 2016 - 11:19 AM. Here, have a bit of nostalgia guys. Edited by ZeroTigress, 08 January 2016 - 11:20 AM. Edited by azumak1, 22 March 2014 - 09:15 PM. Compiling more from other sections. Edited by ZeroTigress, 08 January 2016 - 11:21 AM. Edited by inuko23, 02 February 2016 - 08:48 AM. Edited by ZeroTigress, 08 January 2016 - 11:22 AM. Edited by inuko23, 02 February 2016 - 08:50 AM. Edited by ZeroTigress, 08 January 2016 - 11:23 AM. Leon also helps one of my characters is named Leon as well ahahaha. Tonio and ironically I adore him singing pop songs. also, I see someone post Headline Love. Well the same guy made a Big Al-only album and boy he sure improved a lot on tuning. I have that album! I'm not a huge fan of Big Al, but he's starting to grow on me. YOHIOloid is still my top pick for Engloids, though. I heard that Leon and Lola were retired for good earlier this year. Such a shame Zero-G refused to update them to V3 despite support from the fanbase. So much lost potential. Big Al used to be my #1 fave male vocaloid when I got in the fandom then I discovered the rest. ahaha. But I adore his derpy accent anyway. Including Miriam too. but zero-g did express an interest if there's demand. But who knows if their voice providers would be still willing, it's been a decade. Anyway, looking forward to zero-g's upcoming american male vocal. I hope the auditions are done and they've picked a vocal already. It's been a while since Avanna's release. Sorry, I usually look through the VOCALOID Wiki to find songs. And that is bad how? 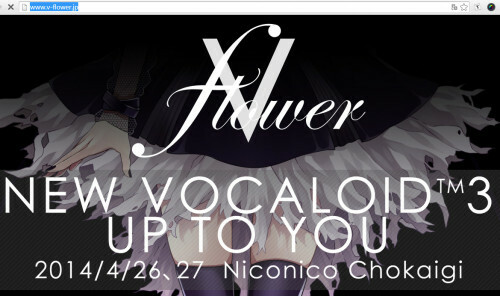 Damn about time for Vocaloid to get up there. Besides, it's not just about Miku (hopefully it would boost interest in Vocaloids and in turn, have more companies interested in making Vocaloids..I'd kill for another Vocaloid like Leon or Tonio). I'd admit thanks to Miku, some people would opt to check out the rest and that's good in my book. Edited by Chorvaqueen, 16 April 2014 - 03:05 AM. Mainstream = more people bashing on VOCALOID and its fandom on TV. Eh, people bashing a piece of software should know better. Edited by Chorvaqueen, 17 April 2014 - 06:18 AM. Edited by inuko23, 02 February 2016 - 08:52 AM. A little story relating to the topic, around two years ago, I was staffing at Kawaii Kon. At the time, I was cosplaying as Len. Since some staff members needed help assembling a shelf, I went backstage to help screw the thing together. That's when the opening ceremonies started. Guests were introduced. I looked up from my work and I saw Yuu Asakawa standing in front of me after introducing herself to the audience. I couldn't help but be starstruck. She is Luka! I can't believe I'm actually meeting Luka herself! The next day, I managed to get her to sign my wall scroll. On the last day of the convention, I went to her panel. She sang "Just Be Friends" for the panelgoers. Days later, I find that she put her Kawaii Kon visit on Youtube for all to see. During high school, I also experimented with UTAU. I ended up making a somewhat decent Teto cover of "Can You Feel the Love Tonight". There are issues, but I'm too lazy to work them out. Well, I don't mind it if they bash VOCALOID over the Internet, but when it reaches mainstream media like television and such, that can get pretty bad for VOCALOID's reputation.